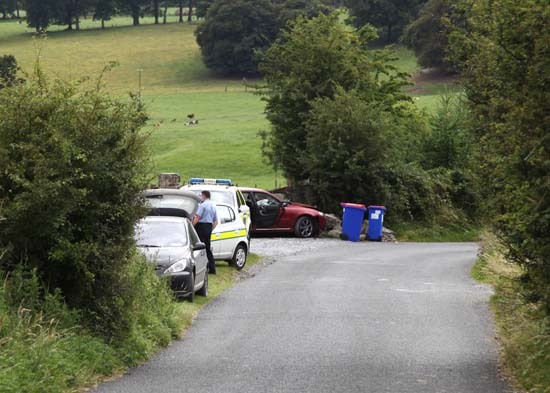 The scene where the raiders crashed their getaway car at Plezica close to Dunlavin. ​The Gardai have apprehended 4 of 5 raiders who broke into a house this afternoon at Plezica close to Dunlavin. The Car in which the raiders left the scene crashed into another house entrance further down the road and fled the area on foot, escaping across fields. ​Garda helicopter and traffic units​ were on the scene quickly to hunt for the raiders. 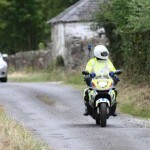 If you see any suspicious persons in the area or on your property contact the Gardai in Baltinglass on 059-6482610.